The first time that you drive the half-mile stretch of the Avenue of Oaks in Belfair Plantation you begin to realize that you have chosen to live in a very special private, gated community. In fact, Belfair’s mission is to provide it’s residents the most complete, private golf club in the U.S. With that fact in mind, the community is centered around two 18-hole championship golf courses by legendary designer Tom Fazio. 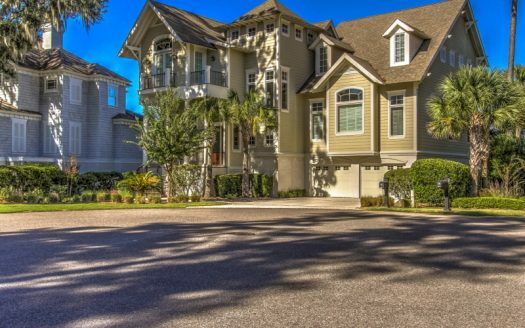 Belfair real estate listings are in the upper price range of homes in the Bluffton area. At over 1,100 acres, the lots and homes in Belfair include riverfront property, marsh views, lake views, secluded wooded settings, and golf course homes. Additional community amenities include an outdoor pool, indoor lap pool, health club, tennis courts, playground, and family picnic area. A selection of signature homes is available in keeping with the Belfair real estate architectural style, size and lifestyle. Each design is customized to meet individual needs and tastes and has been pre approved by the Belfair Architectural Review Board. Views from individual homes vary from dense woods, to golf course, to water. The Activity Center at Belfair is a recreation facility that includes: swim club, stocked fishing lake with fishing dock, all-purpose playing field and picnic areas. Full-size outdoor basketball court with height-adjustable goals. A Beach volleyball court. A playground with picnic area and horseshoe pit. An indoor multi-purpose room for activities and special programs. Professional trainers on staff and Cybex fitness equipment. Swimming – outdoor and indoor pools. A two-lane heated indoor lap pool. A junior Olympic sized swimming pool equipped for water polo, basketball and volleyball. Fishing – Stocked fishing lake with fishing dock in addition to the 42 acres of lakes. Tennis — Club with six Har-tru courts, one with spectator viewing. 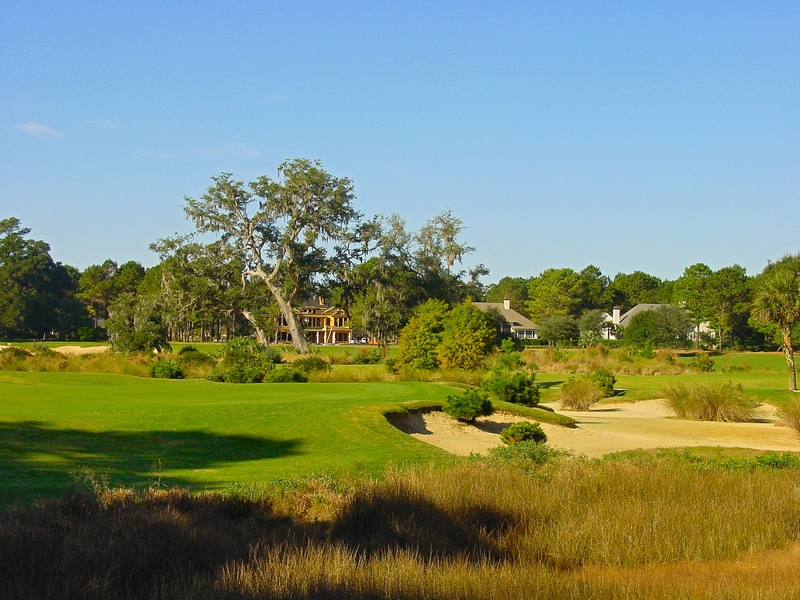 Club – Club membership at Belfair is equity based and the club is member-owned. Clubhouse is a 24,000 square complex that includes a Golf Shop, Grill Room, Men’s and Women’s Locker Rooms and Lounges, a Golf Library, Carolina Rooms, steams and saunas. A formal and a private dining room are near completion. East Course – This is the first of two courses set in this upscale community and a place where Tom Fazio elevated his already lofty design credentials. The signature effect on this lovely setting is the consistent use of waste bunkers. The greens are large but demanding. The course is cleverly woven around lagoons and marsh that will entice the longer hitter to take chances. But there is little “give” in this Championship facility and it has earned its rave reviews. The back nine will reveal the justified homage for this course that will surely age gracefully and fascinate members and guests for years to come. West Course – Tom Fazio did not rest on his laurels after dedicating the East course. This adjacent links course takes the player through a barrage of tree-lined fairways, dotted with water, wetlands and deep water views. The clever design is dotted with waste areas where the golfer seeks to get an edge on this classy, nationally ranked facility. The closing hole is worthy of the best of the top 50 courses. For a mid range price point, a terrific golf community featuring two Fazio Courses, and outstanding amenities, this is a great choice. Affordable and a favorite with year round residents who want an active lifestyle. You will find the members here are friendly and most welcoming. The plantation is well-managed.